An Oxfordshire pub that used to be run by TV chef Anthony Worrall Thompson is under investigation amid suspicion that it is running a car dealership from its car park. The Lamb in Satwell was bought by Graham Granaski in April 2013 and subsequently started to sell used cars from the premises under the name Highland Cars. The owner was told to stop trading from the pub and ordered to remove the cars within 28 days as he was breaching planning control regulations. As well as these regulations, another key consideration for any motor trader - whether an individual or a business - operating out of a commercial premises is to ensure they have a combined motor trade insurance; a road risks insurance policy will not cover vehicles on site while other types of cover, such as liability insurance, are also legally required to protect staff, members of the general public as well as buildings, both the company’s and potentially surrounding premises. Mr Granaski, 63, plans to re-open the pub while he tries to find a new location from which to sell the used vehicles. 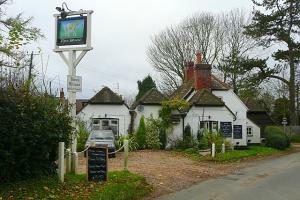 He sold his previous forecourt to finance his acquisition of the pub, the Henley Standard reported. He had tried to get an application to use the car park to sell the cars but locals objected - one stated that cars were being parked on the public highway because the parking spaces were full, in turn causing safety issues. Other villagers have called for Mr Granaski to sell the popular pub if he intends to run it primarily as a car dealership.